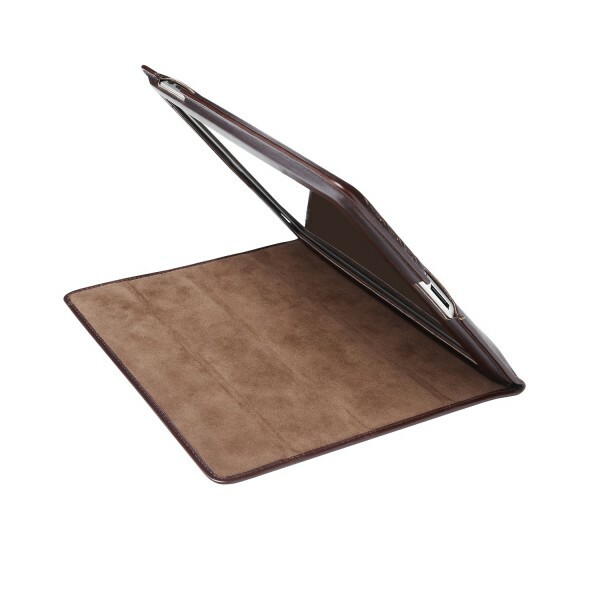 Hand made in smooth calf leather from one of the very best tanneries in Italy, this rich brown iPad cover fits the iPad 2 and the new iPad3. It is part lined with a fabric to protect the iPad screen from scratches. Measures 25.5 cm x 19.5 cms. Features roll back screen cover with the built in sleep function that allows the iPad to be viewed in three different directions. The one piece fabric allows the screen to be fully protected. Designed to allow easy access to all the main features of the iPad. Elegant, stylish. Comes gift boxed. Ideal present for the man who has everything!